As a single mom who loves Disney and wants to visit as much as possible, I understand that the best way to do it is on a budget. Every dollar counts. This week I want to share with you the best tips I found on renting strollers. 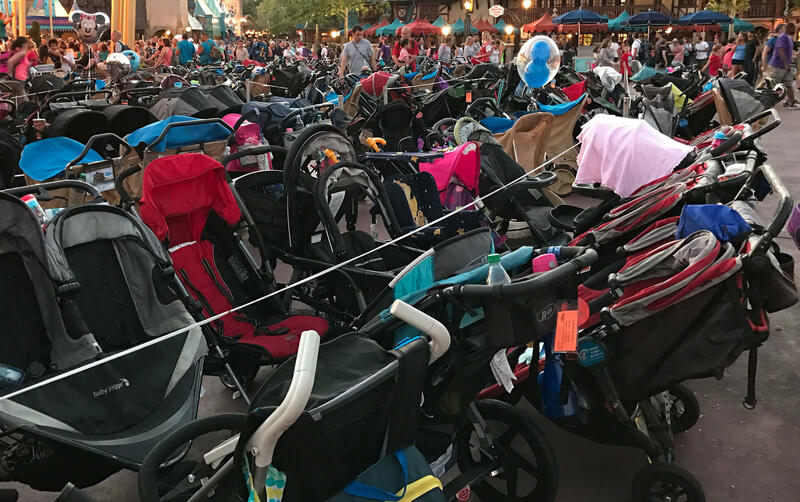 Disney charges $15 a day for single strollers and $31 a day for double strollers. There is also $100 deposit on the strollers which is refunded when the stroller is returned. This stroller is a big plastic beast that is not useful at all. I would recommend looking elsewhere if you don’t want to bring a stroller with you on your trip to Orlando. Below is a list of the most popular stroller rental companies near Disney and Universal and what they charge. Single stroller: $33 for the first night and $7 each additional night. Double Stroller: $45 for a the first night and then $8 each additional night. Singles are $5 per day. Doubles are $7 per day. There is a $10 rental fee as well. I will use a stroller until it is completely impossible to fit my kid into one. The amount of walking done in the parks is too much for adults to handle at times, imagine those little legs handling the same amount of work. Not to mention you can unload your bags and snacks into the basket. Hop aboard a Banshee and take flight over the planet of Pandora. Ride atop a Slinky Dog in Andy's backyard.